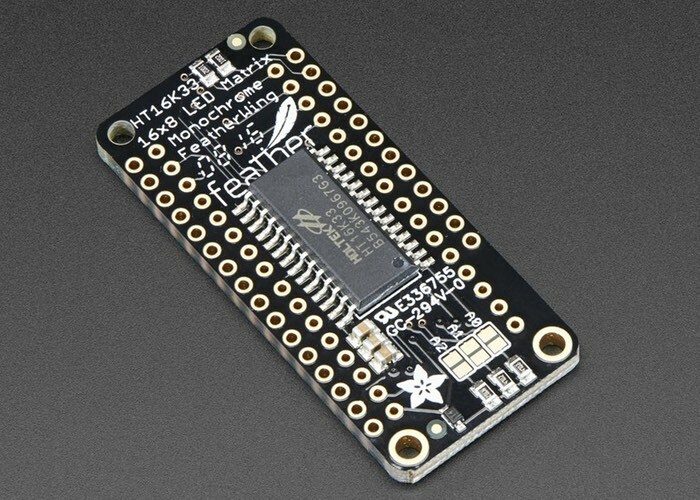 Electronics enthusiasts that have been using the Adafruit FeatherWing ever expanding range of development boards which recently launched. Maybe interested in a new addition to the range in the form of the Adafruit 8×16 LED Matrix FeatherWing. Which offers an easy way to add a small display to your FeatherWing project that can be used for a variety of applications and offers two individual 8×8 matrices have everything a “big LED matrix has, but bite sized” says Adafruit. 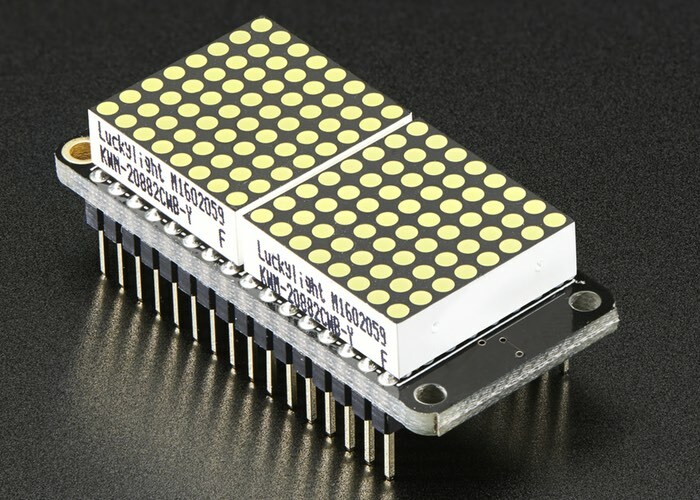 The Adafruit 8×16 LED Matrix FeatherWing is now available to purchase without Matrices the just $4.95 allowing you to select exactly which matrix you would like to add from a range that includes White, Blue, Green, Red, Yellow, and Yellow-Green. Adafruit explains more. A Feather board without ambition is a Feather board without FeatherWings! This is the Adafruit 8×16 LED Matrix FeatherWing! This FeatherWing backpack makes it easy to combine and control two of our adorable mini 8×8 LED matrices with a FeatherWing driver board. Double them up for 128 total bright LEDs. Works with any and all Feathers! Normally, wiring up 8×16 matrices would require a breath-taking 24 GPIO pins, which is way too many pins. That’s where this lovely 16×8 LED matrix backpack PCB comes in. It contains a HT16K33 I2C LED matrix driver that does all the multiplexing work for you, and is controlled over the two I2C pins. It’s easy to use, has a portable library that runs on any of our Feathers to turn on/off each LED. For more information on the new Adafruit 8×16 LED Matrix FeatherWing jump over to the Adafruit website for details by following the link below.